These fresh, modern looking journals come in three colourful at a great value price. The stylish modern look of these journals will appeal to teens and adults alike. The journal pages contain Bible quotes on themes such as love, faith and hope and have been specially-chosen to inspire and encourage the journaler as they write. Each journal uses stylish, modern fonts that will appeal to young journal writers. 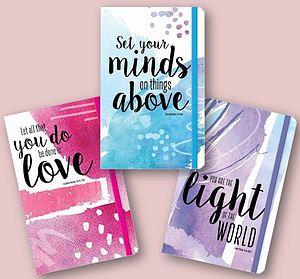 With great covers and a colour co-ordinated elastic closure, these are gorgeous journals to inspire and encourage faith. Three Inspirational Notebooks Bundle by Make Believe Ideas was published by Eden bundles in November 2018 and is our 857th best seller. The ISBN for Three Inspirational Notebooks Bundle is EDENBUNDLE-2259. Be the first to review Three Inspirational Notebooks Bundle! Got a question? No problem! 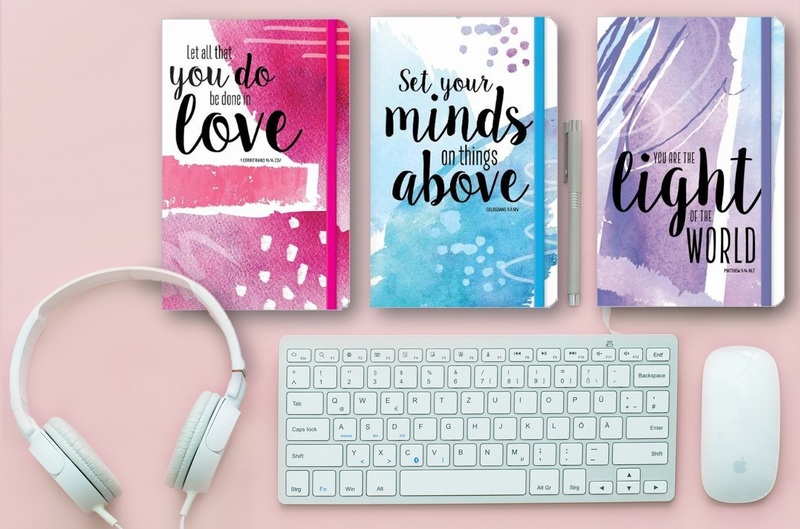 Just click here to ask us about Three Inspirational Notebooks Bundle.